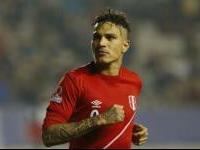 Flamengo's Peru international striker Paolo Guerrero is being pursued by Argentine giants Boca Juniors. Boca are said to be preparing a $5 million offer for the 33 - year - old, Brazilian sports portal Lance said on Thursday, reports Xinhua news agency. Guerrero has scored 34 goals in 82 appearances for Flamengo since he joined the club from Brazilian rivals Corinthians in 2015. This year the former Bayern Munich player has been in prolific form, netting 12 times in 19 matches. Flamengo were eliminated from the Copa Libertdadores - South America's top club competition - on Wednesday after a 2 - 1 away defeat to San Lorenzo in their final group match.